Securiport, a global leader in intelligent immigration controls and aviation solutions announced today that it has received the award for Best Biometric Identification/Authentication Solution as part of the Government Security News (GSN) Airport Seaport Border Security Awards Program. The 2016 Program is in its 7th year of recognizing the top leaders in new technologies and innovative security strategies. Securiport’s Integrated Immigration Control System, a comprehensive security product, consists of several subsystems that provide optimal security and control. They include advanced multi-modal biometric identification, intelligent data analysis, training, data security, and real-time checks against Interpol Databases to help identify persons of interest. Securiport’s IICS allows authorities to create and maintain Wanted-Persons Records, which include demographic and biometric features. Data can be imported from any government database, and real-time identification checks are performed on every passenger. The Securiport system then alerts immigration and security officials on possible watch-list hits by issuing a veiled alarm. GSN: Government Security News serves a BPA-audited circulation of 35,000 qualified recipients in the fields of physical, IT and homeland security. This audience includes federal, state and local officials, as well as integrators, contractors and suppliers who are similarly involved in homeland security. 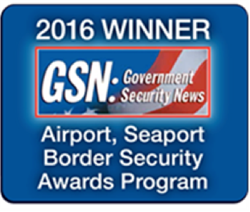 Securiport was also named the winner for the best biometric identification system for border security in the 2015 Homeland Security Awards, specifically for their automated, multi-modal, biometric recognition fingerprint identification. As the terrorism and refugee crises continue abroad and at home, Securiport is developing new and better systems to remain at the forefront of today’s most critical security demands.